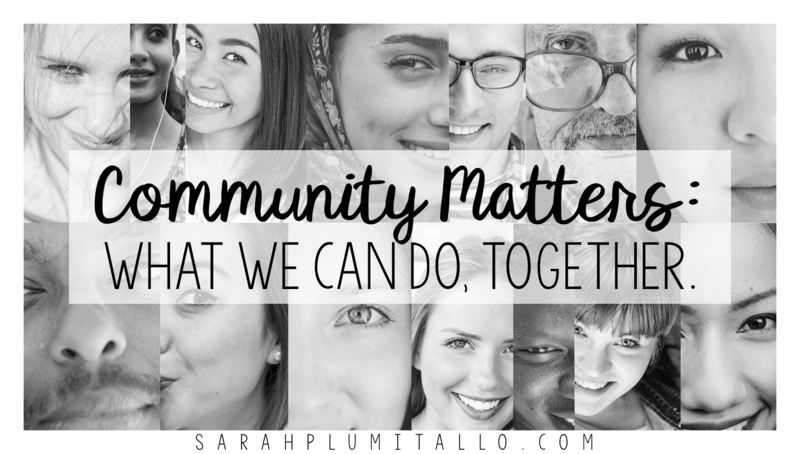 Community Matters: What We Can Do, TOGETHER. Turn on the TV, browse your Facebook timeline, or scroll through Twitter… look at the faces of your colleagues and friends as they navigate conversations this week… it’s not hard to see how divided we are right now as a nation. In our own communities. Sometimes in our own schools. Regardless of where on the political spectrum you fall, you’re likely as concerned as I am about how we move forward from this, and how we do so in a way that honors our commitment to our children. For the children are watching. And listening. And learning. All of us – whether happy, sad, exuberant or despondent about the outcome of our election – have a responsibility to the children. We have a responsibility to listen, to love, and to protect. I believe that we, as educators, must turn our focus toward building or maintaining our classroom communities as places where students are safe to express their feelings, where their feelings are honored, and where they learn what it means to grow as a person of character. We cannot do this alone, nor can we do this without a plan, for building a classroom community requires careful consideration and thoughtful execution. So what can we do? What can YOU do? How do we navigate this uncharted territory? Create and maintain open lines of communication. Students that are distressed right now – for themselves, for their family, or for their friends – must feel that they are safe to express that fear. Research tells us that students that are emotionally distressed are less equipped to learn. In the long-term, it can seriously impact their health and well-being. We must do all that we can to mitigate this in our classroom, and that begins with allowing students to express themselves. I’ve written before about the powerful #IWishMyTeacherKnew movement and how I handle it in my classroom; this is a perfect time to begin implementing it or something similar to provide your students with an outlet. It’s especially important to provide students with a confidential outlet, as they may not always feel comfortable speaking about their thoughts, feelings, and emotions in the whole-group or even small-group settings. Students are aware of how divisive this election has been, and may not want to put themselves at risk within their peer group. Allow students that need to take a break to do so. If a student is distressed, it’s important to provide them with tools to cope, and those tools can include taking a break from learning. Invite your school counselor into your classroom to provide insight on how to help your students learn to cope with all that they may be feeling – our school counselors are incredible resources that can help us navigate these difficult times. 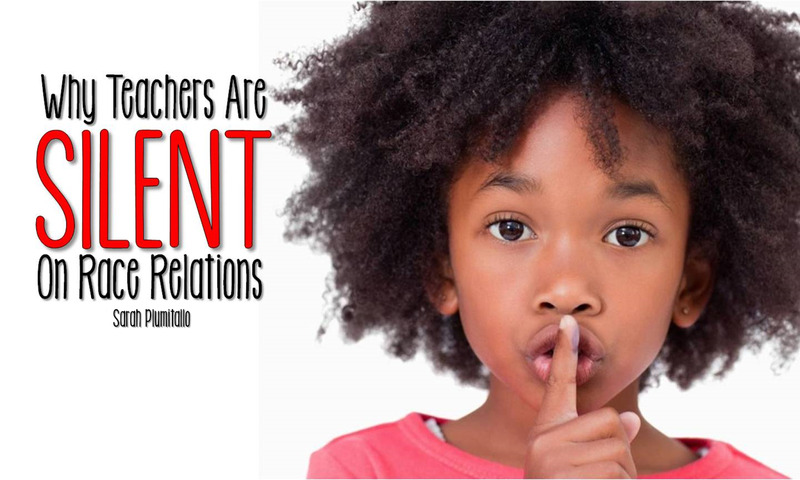 Communicate and build relationships with students’ families. Students in distress are likely coming from a family in distress – that is to say that their families, too, are feeling complex emotions and experiencing hardship in some way. It is important that families know that you are there to support their child at school, and to support them in parenting their child at home. Regardless of belief systems, we hold a shared responsibility and have a sacred relationship as families and teachers – communicating openly is necessary to preserve that. Honor students by honoring their backgrounds. Much of the distress children are experiencing stems from fear of, or actual experiences of, being excluded. Excluded on the basis of their or their family’s race, ethnicity, religion, gender identity, sexual orientation, immigration status, or political affiliation. Our classrooms must be a place where students’ backgrounds are honored without qualification. In order to learn, students must feel accepted and included. We can honor our students by being pro-active in stemming the tide of discrimination within our classrooms, schools, and beyond. We can ensure that we do not allow, and roundly condemn, any form of prejudice we, our children, or their families experience. It is important that as we seek to honor our students’ backgrounds that we also protect them in so much as we can. Speaking out against injustice does not impeach our own political beliefs – it protects our humanity, and that of our students and their families. Cultivate a culture of character. 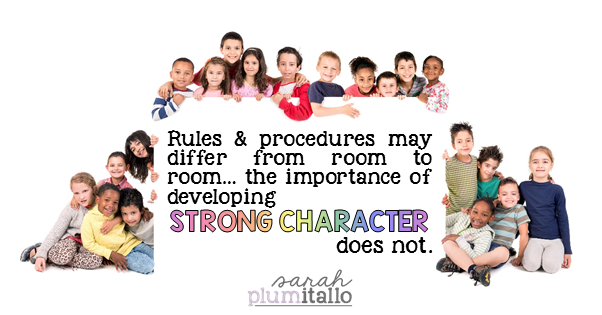 Prioritizing displays of character is integral to building and maintaining a classroom community. All educators want their students to be successful academically and work diligently to make their success a reality. I believe that now, more than ever, we must also work to shape our students into people of character. If your school implements PBIS (Positive Behavior Interventions and Supports) you are already well on your way. If your school doesn’t implement PBIS, learn more about it. PBIS isn’t the end-all be-all, but it is a school-wide framework for focusing on creating a positive learning community rather than putting out the fire of a negative learning environment. Start, continue, or enhance classroom meetings that focus on being better to one another – being caring, fair, respectful, responsible, trustworthy, persevering, and a good citizen. 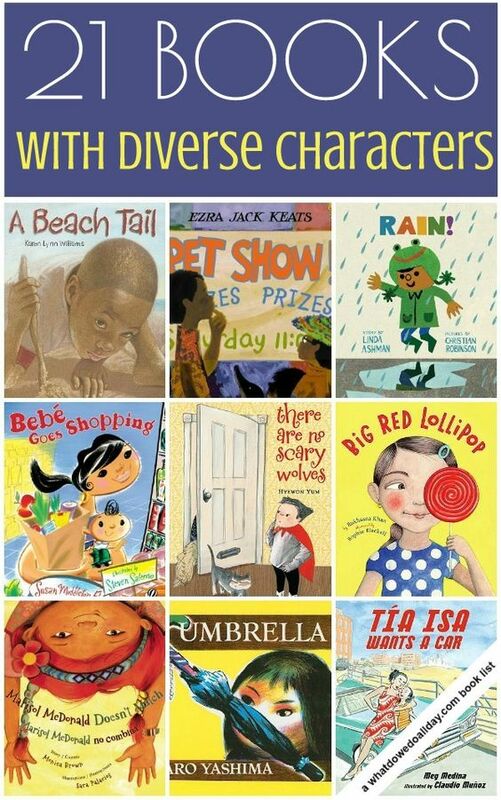 You can do this through discussion prompts, through read-alouds, through song, and even through short videos. 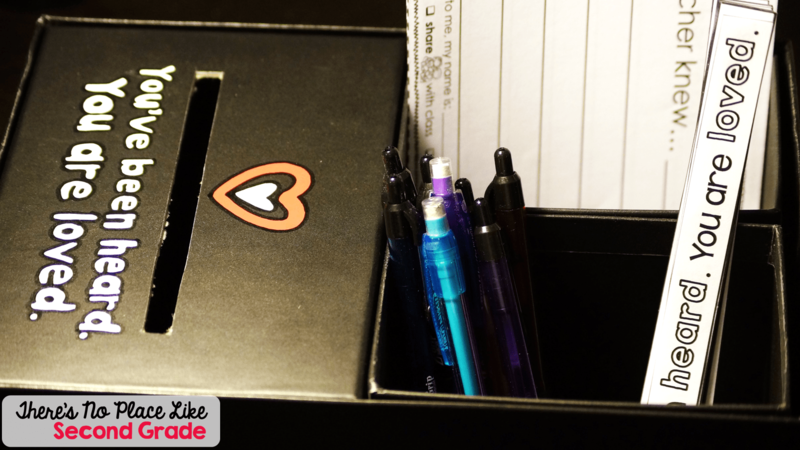 Use your classroom meetings throughout this holiday season to plan acts of kindness in your school community and beyond. Add to your classroom management system to reflect the value of displaying one’s character. Allow students to recognize the character that one another displays – in the small moments, and in the big ones too. Involve parents in the process by communicating the ways in which their child uplifts your classroom community and makes a difference. Above all, remember it is about them. To be completely transparent, I am one of the people I am writing about. I am one of the Americans that are scared, sad, and just down-right exhausted by what’s happening. It’s personal to me, on many levels, as so many that I love and care about – my students included – feel threatened right now. But this isn’t about me, and it can’t be. It can’t be about you, either. It’s about our kids. It’s about making sure each of them – regardless of where they come from, who their parents are, or anything they believe – feels safe, loved, and protected. That’s something that we can all agree on and work toward. Please join me in this fight for our shared humanity. I need you. They need you. I’m here to tell you that name shaming needs to stop. A fleeting giggle or likes on a meme are not worth the consequences of shaming children (who become adults) about their names. 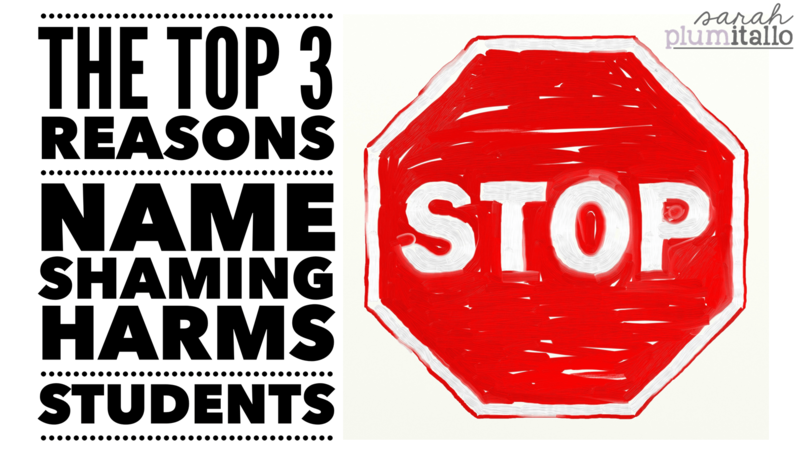 Here are my top 3 reasons name shaming harms students and must end. 1. Name shaming sets you up for a failed home-school relationship. You can’t laugh about, joke about, or roll your eyes at a student’s name without passing judgement on their family. (And that judgement? It can impact their educational attainment. Here’s another source if you don’t like the first one.) They did not choose their own name – their parents or guardians did. Odds are, if you’re comfortable enough to laugh about a student’s name, you’re going to begin to make other judgments about that family. Think about it: if you’re making fun of someone, do you have a lot of respect for them? Empathy? No, you do not. Respect and empathy are two keys to successful home-school relationships. Without them, you’re facing an uphill battle. 2. Name shaming impacts student outcomes. Students with uncommon names are more likely to be bullied, more likely to be suspended, and less likely to be found to be trustworthy. These things are not because of a student’s name – it’s because of our response to their name. We – the adults, the teachers, the other parents, other students – create situations in which students can develop low self-esteem, want to distance themselves from their culture, etc. all because of how we respond to their name. 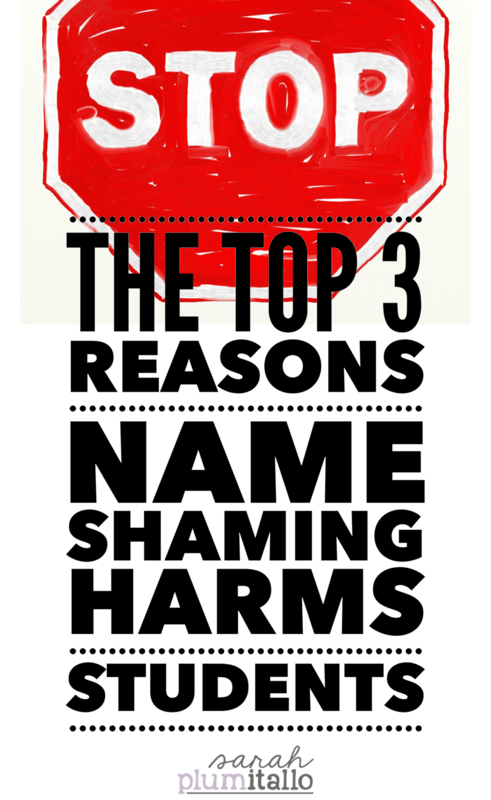 When we name shame, we demoralize – and we all know as educators that if there isn’t mutual respect and a relationship, student outcomes suffer. 3. Name shaming is entrenched in ethnocentrism and contributes to institutionalized racism. Yes, I went there. I went there because the research goes there. If we, as teachers, feel free enough to name shame (whether it’s in the teacher’s lounge, on social media, or just in our own heads) – what do we think goes on behind closed doors in human resources? The more acceptable a practice name shaming is, the longer we perpetuate hiring Emily over Lakisha despite the fact both are equally qualified. We cannot participate in perpetuating the practice of determining the worth of someone based upon our own notions of what is an “acceptable” name. Picture a student you’ve had with a unique name. Do you want them to be passed over for a job that they are qualified for? There’s no place for this in our profession. This is not “all in good fun.” We are not just “making an observation.” We are actively ‘other’-izing our students, demoralizing them, and disrespecting them. We are disrespecting their families. We are devaluing our profession by stooping to the low of a school-yard bully or crass comedian. We should be striving to be better than that – we must. When I started writing this post, I found myself focusing on explaining the concept of privilege — and particularly white privilege. I feel led, however, to just write from the heart rather than by the book. If you want to read about white privilege prior to reading the rest of this post, there are some great resources here, here, and here. When you’re finished reading, please go and read what Tamara, from Mrs. Russell’s Room, has to say about discussing race. I’m thrilled to be partnering with her to start a dialogue on this important issue. I’m white. 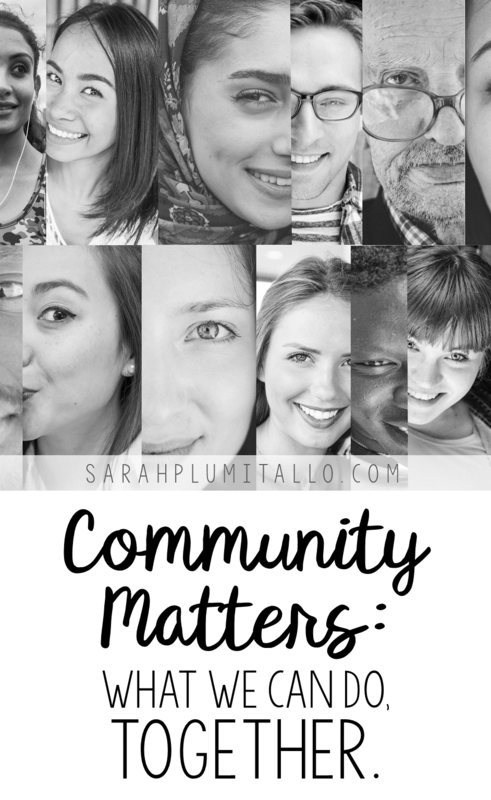 I say this first because while it’s an obvious fact if you’re staring at my smiling face on the sidebar of my blog, it’s important to emphasize that I am writing this post as a white woman. I’m writing this post as a white woman charged with educating primarily children of color. I make that distinction because it’s a distinction I have to be aware of each day. While I do share some common experiences with the children I teach — living with extended family members like grandparents, for example — I cannot directly relate to their experiences of being a racial minority. I cannot understand what it is like to lack the societal, economic, and cultural privileges attached to being white. As educators, I firmly believe we have a responsibility to talk about all manner of privilege in our communities — socioeconomic, ability, gender, language, and yes, racial privilege. We have to know how to advance our community, and to do that, we have to acknowledge the barriers that may exist. In order to fight for equity, we have to know what it is that we’re up against. Because it is we not them. As we love our students, their families, our colleagues, and neighbors — and want the best for them — we have to see their success and place in this world as our own. So how do we talk about privilege? How do we talk about race? I know firsthand how uncomfortable it can be to enter into these conversations with our colleagues and peers. I know that it can often feel, as a white educator, that we have no business engaging in conversations about this. I hear that, all too often, whether for reasons of not wanting to offend or genuinely thinking it’s not our problem. It is our problem. It’s our responsibility to be uncomfortable so that we can learn and grow. So that we can be an ally. Love thy neighbor enough to experience that discomfort and thrive in it. Where our own thoughts are coming from color our worldview. We can’t begin to make a difference and be a positive force in our community for equity if we are not first looking for the answers at home in our own hearts and minds. 2. Before anything else, LISTEN. When you’re engaged in a conversation about privilege with someone, listen far more than you speak. Actively listen and consider their perspective, even if it varies widely from your own. Listen as if your life depends on it because theirs may. Everything isn’t about you. We can’t begin to understand how privilege works in our world and how it impacts our students if we do not truly listen when others reach out to help us understand. Listen, especially when it comes from a place of anger because behind that anger is a world of hurt that we have a responsibility to honor. 3. Affirm. Be an ally. When you’re engaged in that likely uncomfortable conversation, use the words “I hear you. I’m listening and thinking.” more than any others. Mean them. Before you ask questions or share your perspective, consider what has been said. Think about what you want to convey. It’s okay to take your time. You don’t have to say anything just to say something. If you aren’t sure what to say because you need more time to consider your position or reflect, say so. Validate the feelings and perspective that’s been expressed to you. Ask for feedback — “What can I do?” — and use it. The discomfort I feel talking about race, socioeconomic, ability, male, and language privilege is necessary. The world does not seek to make me comfortable, and to feel uncomfortable is to grow. I ask my students, day-in, day-out to do hard work. I, too, must do the hard work to brick by brick take down the wall that impedes them — that impedes their family, that impedes some of my colleagues. Love thy neighbor enough to seek out that discomfort.